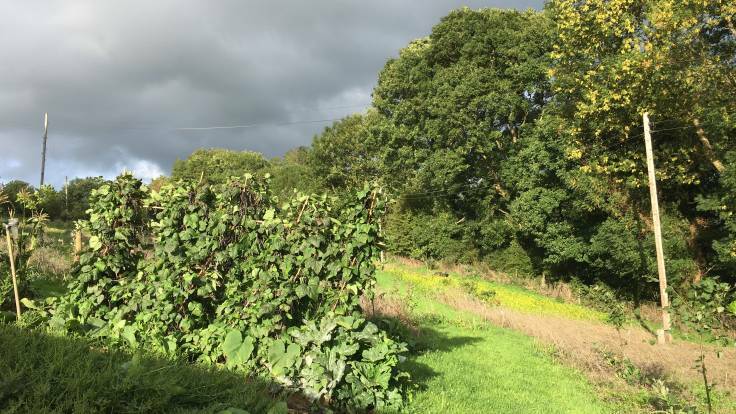 Mae’r storm yn dawd / The storm is coming, in the #ForestGarden. Have staked the rather flimsy bean supports & shut the polytunnel up tight. Bydd yn ofalus / Be careful!